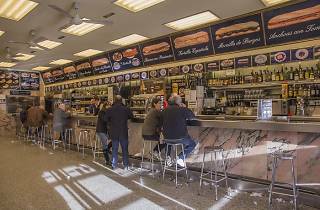 This is the most famous place to eat a calamari sandwich in Madrid. 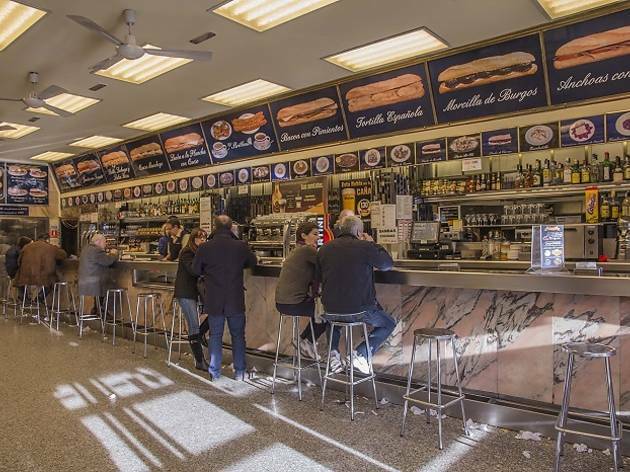 This bar-restaurant, which has been kept mostly intact since it opened in 1961, is an unavoidable tourist stop thanks to its aforementioned sandwiches and its location, just in front of the Atocha train station. They also do good 'tortillas' and toasts with various toppings. The terrace is always packed in summer.